Media Communications reporter, Grace E.
As part of Random Acts of Kindness, ASB Ambassadors Haley Hockett and Grace Ehrhardt wanted to show the teachers and staff of CPHS how much we really love and appreciate them. 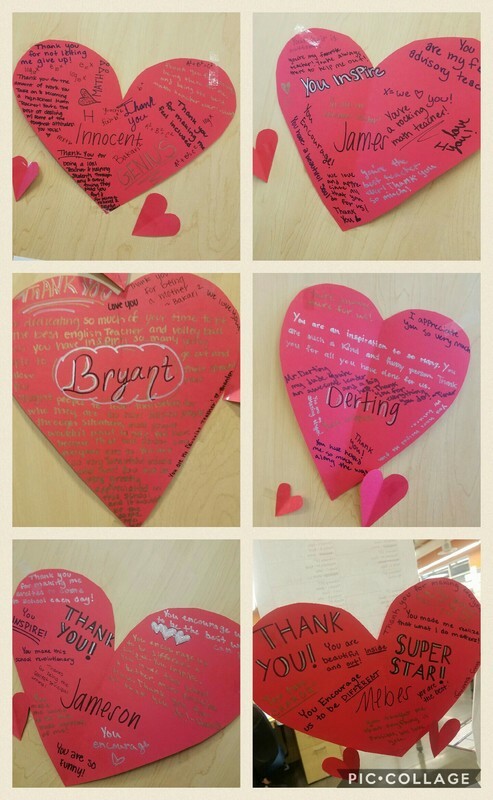 To illustrate this, the students of the ASB class created a “Heart” for each teacher, which were filled with personalized notes and compliments. These hearts were placed on the teachers’ doors, for everyone to see. From the students at CPHS, to the teachers, we love you!